How are we all doing? March was a rather odd month: we had sunshine, then we were hit by the unexpected and unwanted Beast from the East, and Easter was a welcome (though rather wet) break. Looking a little bit further ahead into the future though, Southampton has a few Open Days coming up in the summer months, and while it feels like an age ago since I attended my university open days, I have prepared my definitive list of tricks and tips for making the most out of any open day you attend. Avenue Campus with a light dusting of Southampton snow. Tip 1: Don’t be afraid to ask questions! I know what you’re thinking: there is always that one overly vocal parent who asks far too many questions, and who manages to successfully embarrass their child within five minutes of arriving. I clearly remember experiencing as my mum grilled a lecturer about entry grades, while I slowly retreated away in an attempt to convince everyone around us I was alone. Looking back on it, however, the answers we got were incredibly valuable, and reassured me when I was an overwhelmed A Level student, desperate for success. Regardless of whether it’s a burning question you’ve been pondering over for months, or a fleeting thought you have upon arrival, don’t be afraid to speak to students and staff at open days. No question is too big, or too small. In fact, don’t be afraid to come prepared with questions; whether it’s a concern about the application process, or a query about your course, there are plenty of people who are more than willing to help. 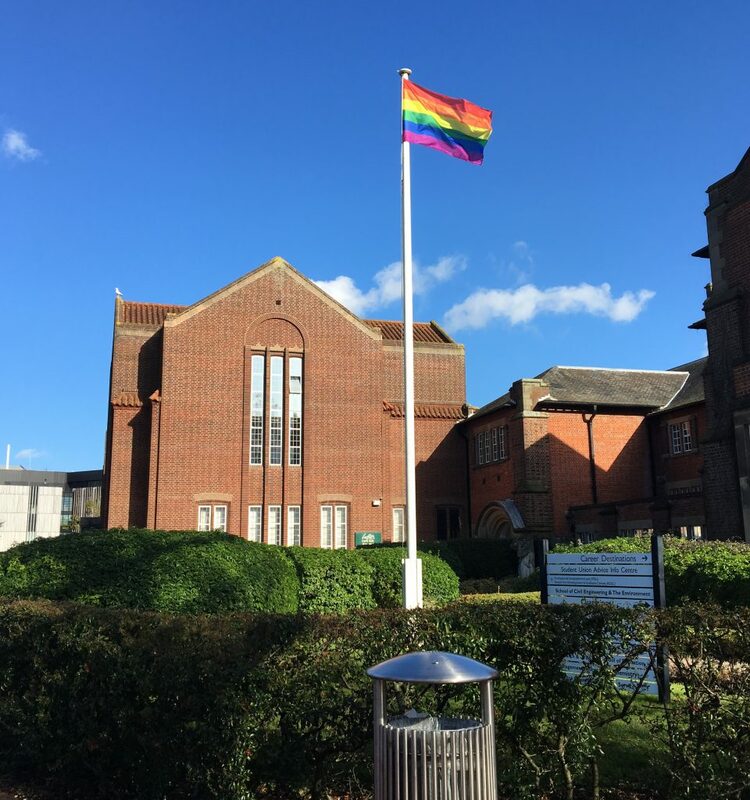 Proudly flying our Pride flag by Hartley Library on Highfield Campus, where they’ll be running tours at this year’s Open Days. I worked as a student ambassador at some of the Open Days at Avenue Campus last July, and I can honestly say the most rewarding and enjoyable campus tours I gave were with the chattiest people. All of the student ambassadors helping out on the day want to be there – we give up a few days of our precious summer to inspire you lot about studying at Southampton. We’re proud of our university and we want you to be as excited about it as we are. It’s an incredibly long day for us but it goes a hell of a lot faster if it’s full of questions. I promise you, we’re super friendly and we don’t bite – so ask away. Even the small and silly questions deserve an answer. 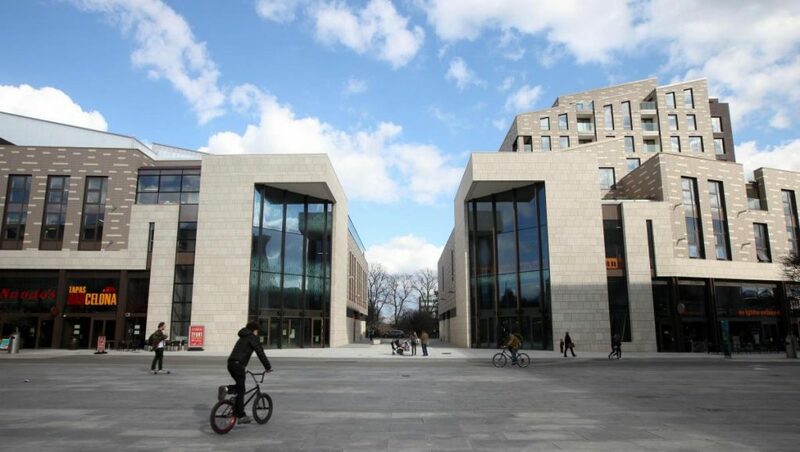 Southampton is pretty ahead of the game when it comes to open days – there is a fancy app ready and waiting for you, jam-packed with all the information and, more importantly, maps needed for you to successfully navigate your way around on the day. Now, heed my words and avoid the rookie error I once made at one of my open days, many moons ago: make sure to look up timings for information talks concerning your course so you don’t narrowly miss one, and have to wait several hours for the next. This tip is particularly important if you’re looking into combined honour subjects such as English and Film, or History and Archaeology. The same applies for room locations – while there are plenty of people, usually in obnoxiously bright t-shirts, stationed around the campus ready to assist you in your search for a room on campus, it’s far easier to make sense of their directions when you’re not in a frantic rush. You don’t want to be running around all afternoon after travelling to get here, so even having a general idea of where you need to be will help. Plus it doesn’t take much effort to look these details up either online or via the open day app – especially for us tech savvy ‘millennials’ – I promise you, they make the day run far smoother and relatively stress-free. 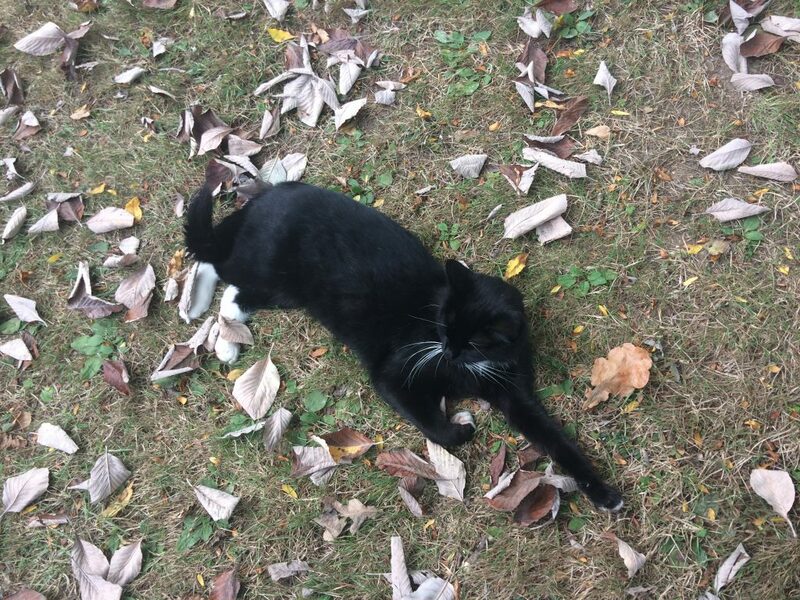 If you’re lucky, you’ll bump into one of our campus cats. Yes, you read right, here at Southampton we’re a university of cat lovers, with beautiful campuses and adorable felines on offer at every turn. What other uni can compete with that? Tip 3: If there’s an opportunity to see accommodation, embrace it with both hands! For me, at least, it all felt more real seeing genuine halls of accommodation. I began to picture myself sat at the room’s desk avidly studying with my head in a book – and sometimes, this vision wasn’t too far from my reality last year. 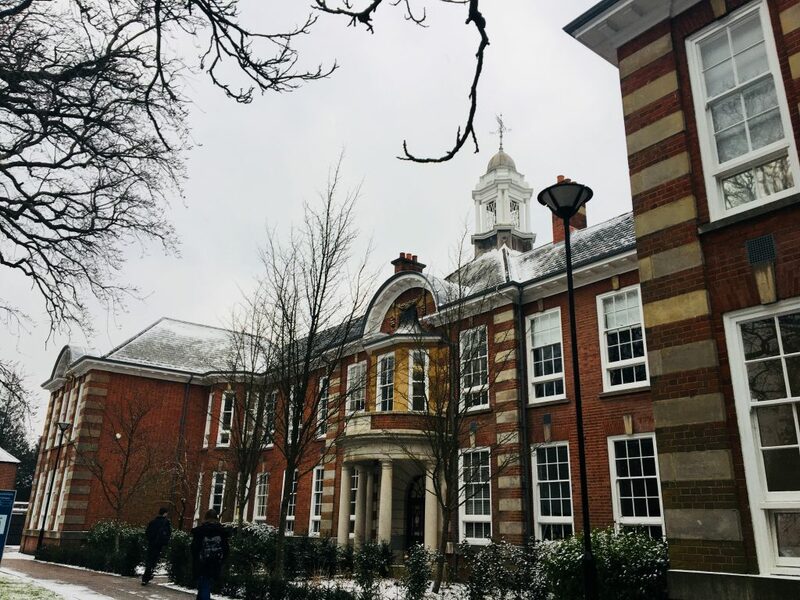 Seeing the halls that are available can make or break a university for some people, so it’s definitely worth having a look for yourself or getting some information from the Residences staff at the information fair. 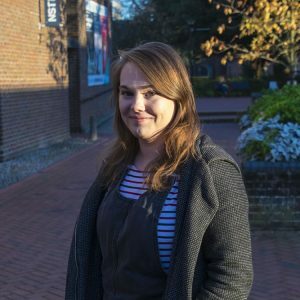 Extra tip: if you just don’t have time, Southampton has a virtual open day tool at the ready so you can get a general idea of a typical university room that matches your preferences. Obviously I’m a tad biased on this one, but I believe Southampton is a truly vibrant city that is full of life that’s just crying out for you to visit. Again, I think having a sense of the city and its life can be that detail that determines your university choice. If you get the chance, be sure to swing by town and have a mosey round West Quay and the high street – there’s lots to see. The new cultural quarter is definitely worth a look-see. Applying for university is some serious and (sometimes) stressful stuff, but I hope these tips and tricks have inspired you to approach your university open days with the enthusiasm they deserve. For you eager ones out there, if you’d like to register for an Open Day now click here. Alternatively, you can click here to view the dates for this year’s open days so you can get them in your diary nice and early. Let me know in the comments if you’re thinking about coming down to Southampton for an open day – you’re in for an amazing experience!